Earlier this year, I introduced legislation requiring the City of Los Angeles to identify funding sources that would allow it to prioritize the repair of streets and physical infrastructure that cause water to pool creating a potential breeding ground for mosquitoes. Mosquitoes are the primary means of transmission for West Nile Virus. I'm pleased to report that we are seeing the results from that legislation with recent fixes at storm drains. In recent years, the Greater Los Angeles County Vector Control District (GLACVCD) has detected an increase in incidents of West Nile Virus in our community. We are continuing to abate the pooling of stagnant water at locations identified by the GLACVCD in Council District 12 as a matter of extreme urgency. Thanks to this legislation, we have also begun making permanent fixes to infrastructure so water doesn't pool and mosquitos are unable to breed again at specific locations. 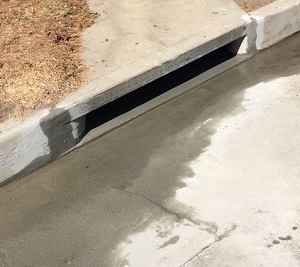 If you notice water regularly pooling in our community, please call the GLACVD (818) 364-9589 and my office (818) 882-1212 so that we, and the City of Los Angeles Bureau of Street Services, are able to properly treat and repair the area. For tips on protecting yourself from West Nile Virus, check out the Center for Disease Control's prevention website.